But the movie was as good as it was promised. A definate must-see for all Steve Martin fans. Now Watching: Whose Line is it Anyway? Reaallly ???? 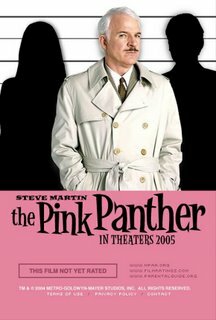 is it at all as good as Peter Sellers Pink panther ??? coz he kinda raised the bars pretty high.. I wana see i wana see now !!! ooh but I'm so gonna watch "Life of Brian" tonight !! !